Pyramiden used to be a thriving city with a population of more than 1000 inhabitants for 50 years. The area was annexed by the Swedes for coal mining in 1910, but the geological conditions in the high Arctic region proved to be difficult and in 1927 the city was sold to a Russian mining company. After the Second World War it became a settlement with facilities equipped for modern life: a cultural center, sports- and swimming hall, library, school, kindergarten, restaurant etcetera. Miners were recruited on a two-year contract and on the day of arrival miners could sign up for sports or cultural activities, in true Soviet fashion. Coal mining was a difficult and expensive process in the Arctic. Therefore, the state-owned Russian mining company Trust Arktikugol decided to close the mine. On March 31 1998, the last coal was extracted and the last permanent resident left in October of that year. The settlement was abandoned, as if it was left behind in a hurry. 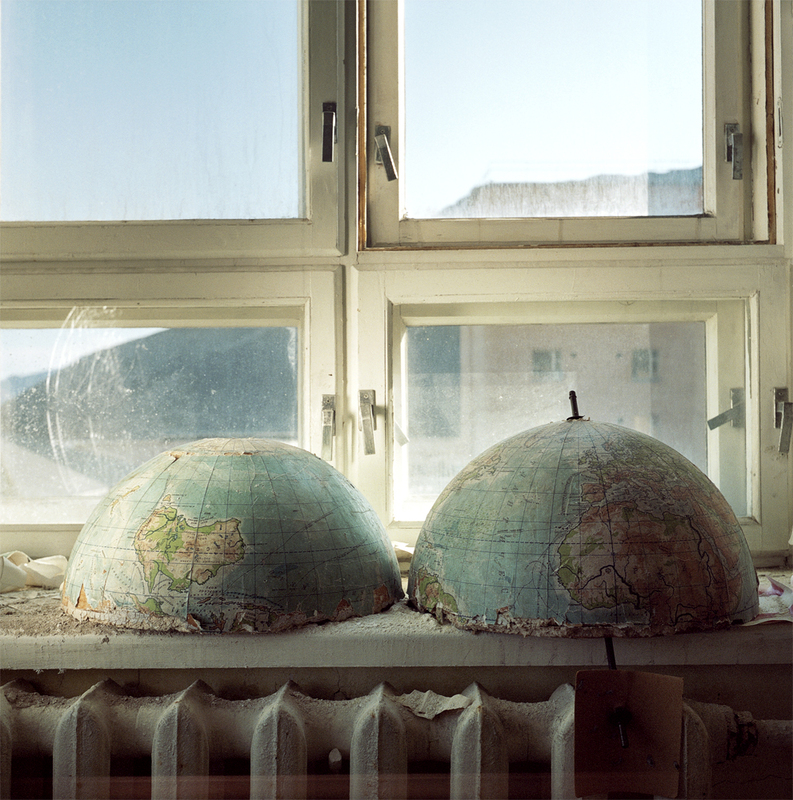 Dutch photographer Daniëlle Celie (Photo Academy Amsterdam, 2011) went to Pyramiden to create a story that is filled with secrecy and drama. To tell this story she uses a combination of different analogue techniques.